(Reuters UK) – Tens of thousands of Moroccans marched though the capital Rabat on Sunday to protest against U.N. Secretary General Ban Ki-moon’s position on the Western Sahara dispute and rally support for the king. Waving portraits of King Mohamed and Moroccan flags, protesters chanted “The Sahara is ours, the King is ours” as they packed the streets near the parliament building in a rally supported by the government. Morocco’s government last week accused Ban of no longer being neutral in the Western Sahara conflict, saying he used the word “occupation” to describe Morocco’s presence in the region that has been at the center of a dispute since 1975. “That was a serious attack on the feelings of all Moroccans, the march shows we are all united in our national cause,” Mbarka Bouida, delegate minister for foreign affairs said, joining the protesters. State news agency MAP said three million people attended the march, though those figures could not be confirmed. Some protesters said they were bussed for free to the march and said trains had also been free for the day of the rally. The long-running dispute over the region in the northwest edge of Africa has dragged on since Morocco took control over most of it in 1975 following the withdrawal of former colonial power Spain. The Polisario Front, which claims the territory belongs to ethnic Sahrawis, fought a rebel war against Morocco until a U.N.-brokered ceasefire in 1991, but the two sides have been deadlocked since that agreement. Ban said earlier this month he would restart U.N. efforts to reach a solution after visiting camps in southern Algeria for the Polasario Front leadership and refugees who fled the conflict and who have spent decades there. The Moroccan government said Ban used the word “occupation” to describe Moroccan annexation [take-over] of Western Sahara in 1975. “We came to tell Ban and the world that the Sahara is a red line for us, and we would die for it,” a protester named Salah, who traveled from Oujda area. Morocco’s king last year insisted only the autonomy plan was acceptable. Rabat [the government] invests heavily in the Western Sahara, hoping to calm social unrest and independence claims, and in February announced a $1.85 billion investment plan. (Reuters) LILONGWE – Malawi on Monday burnt 2.6 tons of smuggled ivory confiscated in the northern town of Mzuzu near Tanzania in what was seen as a symbolic gesture in its fight against poaching. “This is a milestone for Malawi … we will not allow this country to be exploited as a market of this illegal trade,” said Bright Kumchedwa, director of Parks and Wildlife, referring to the cache of 718 pieces of ivory. “By burning the ivory, we want to demonstrate to the entire world that Malawi is committed to eradicating wildlife crime,” Kumchedwa said in a telephone interview from Mzuzu, about 400 km (248 miles) from the capital Lilongwe. A court in Malawi earlier this month said the ivory stockpile worth $3 million could be destroyed. Tanzanian authorities had in September successfully won a court order in Mzuzu delaying the burning by three months but did not seek a further delay this time around, officials said. In seeking the delay, Tanzania had argued that the haul of tusks should be preserved as evidence against poachers. Malawian wildlife authorities say Malawi’s elephant population has halved from 4,000 in the 1980s. 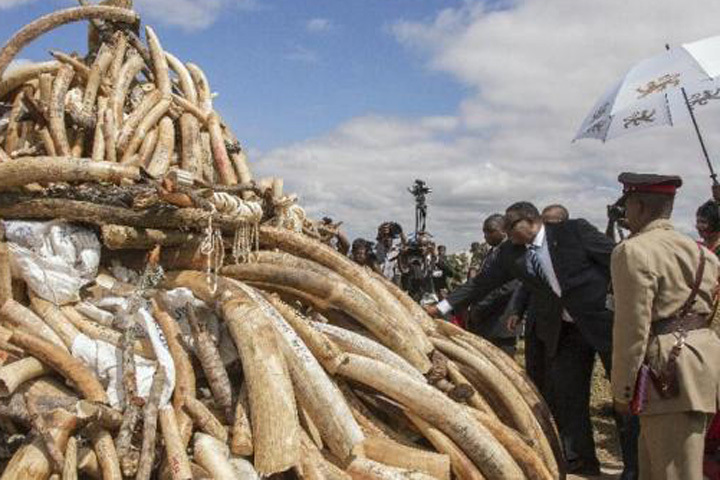 The country still has an additional 4 tons of ivory that it says it plans to burn in the future. 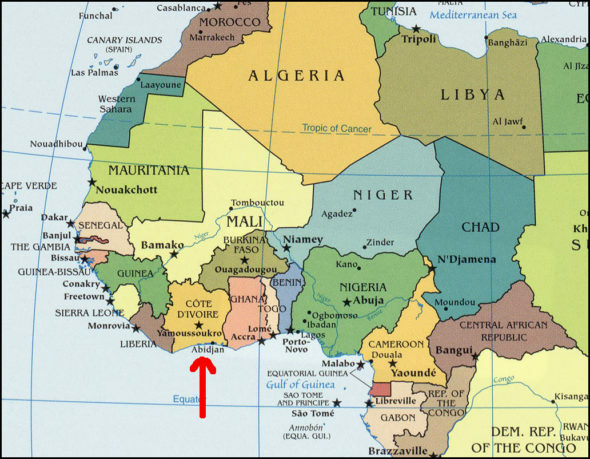 IVORY COAST – Analysis: Why did Al-Qaeda attack the Ivory Coast? 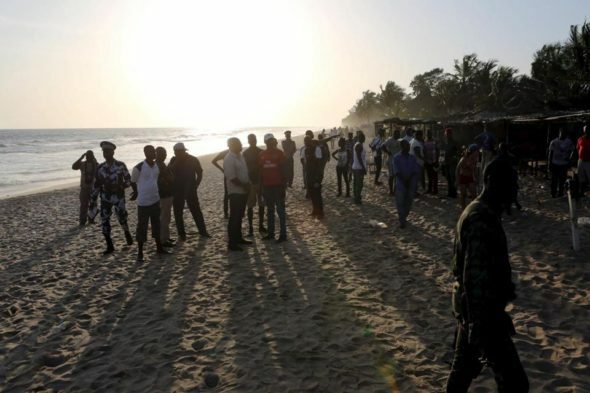 (London’s Daily Telegraph) – Islamic terrorists from al Qaeda’s North African branch killed 18 people, including four Europeans, in the beach resort town of Grand Bassam in Ivory Coast on Sunday. Plagued by civil wars, coups and massive foreign debt, life in the Ivory Coast has not been in easy in recent years. Its one saving grace until now, as its citizens look to nearby countries like Mali and Nigeria, is that they have spared the kind of Islamic terrorism that is tearing much of the rest of west Africa apart. Emergency workers and security officers gathered on the beach after an attack in Grand Bassam, Ivory Coast. Nor does the group have any particular quarrel with the Ivory Coast, whose coup-wracked army these days is much too weak any way to play any major part in the regional counter-terror programs. Instead, the reason AQIM (Al-Qaeda in the Islamic Maghreb) sent its gunmen to rampage there was simply to make their presence known – just as they did in November’s Radisson hotel attack in Mali, and January’s similar atrocity in Burkina Faso. The reason for this, he says, is partly down to a growing rivalry between the Mokhtar Belmokhtar, the leader of AQIM, and the growing Islamic State of Iraq and the Levant (Isil, or ISIS) presence in Libya, where the group now controls Colonel Gaddafi’s home city of Sirte. While the two groups share many similar aims, ISIS’s presence serves as a constant reminder to AQIM that unless they too produce regular terrorist spectaculars, would be-recruits may lose interest in joining them. It is, after all, surely no coincidence that after a period of inactivity since the French-led operation to oust them from Mali in 2013, AQIM’s attack on Mali’s Radisson hotel took place exactly a week after ISIS’s atrocities at Paris’s Bataclan Theatre. 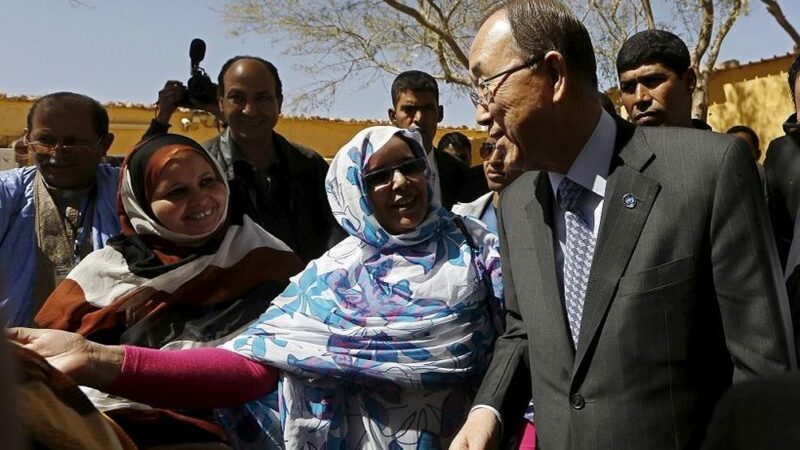 b) What does Morocco’s government accuse UN Secretary General Ban Ki-Moon of doing? c) What is the Polasario Front? d) What does the Polisario Front want? How does the government of King Mohamed differ? b) Define poaching and conservationists. c) What do conservationists say has led to a surge in poaching in Africa? d) What is the Malawian government’s motive for burning the confiscated ivory? b) What was al Qaeda’s purpose for this particular attack, according to the Telegraph analysis? c) Why did they want to achieve this purpose? Be specific. d) Agence France-Presse reported that analysts said al Qaeda’s real target was France, which has strong ties to Ivory Coast (a former colony) and for the French government’s help hunting in down jihadists in Mali and elsewhere. What effect do you think this knowledge should have on the French government’s policy in fighting terrorist groups? In 1860, Spain occupied northern Morocco and ushered in a half century of trade rivalry among European powers that saw Morocco’s sovereignty steadily erode; in 1912, the French imposed a protectorate over the country. A protracted independence struggle with France ended successfully in 1956. The internationalized city of Tangier and most Spanish possessions were turned over to the new country that same year. Sultan MOHAMMED V, the current monarch’s grandfather, organized the new state as a constitutional monarchy and in 1957 assumed the title of king. 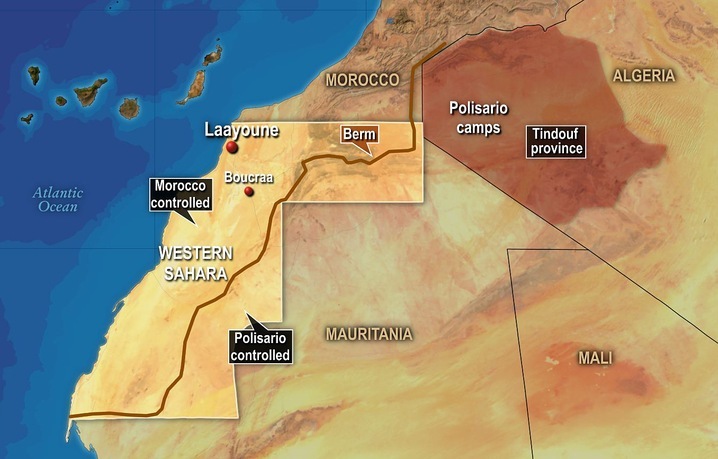 Since Spain’s 1976 withdrawal from what is today called Western Sahara, Morocco has extended its de facto administrative control to roughly 80% of this territory; however, the UN does not recognize Morocco as the administering power for Western Sahara. The UN since 1991 has monitored a cease-fire between Morocco and the Polisario Front –– and leads ongoing negotiations over the status of the territory. King MOHAMMED VI in early 2011 responded to the spread of pro-democracy protests in the region by implementing a reform program that included a new constitution, passed by popular referendum in July 2011, under which some new powers were extended to parliament and the prime minister but ultimate authority remains in the hands of the monarch. Wildlife experts say poaching has halved Malawi’s elephant population from 4,000 in the 1980s to just 2,000 now. “Malawi is vulnerable to exploitation by traffickers operating between the country and the surrounding countries of Zambia, Tanzania and Mozambique,” Jonathan Vaughan, director of Lilongwe Wildlife Trust, said. “It is being targeted by both poachers and traffickers.” Malawi is widely considered a weak link in the fight against the illegal ivory trade due to graft, weak wildlife legislation and poor law enforcement. Ivory is highly sought-after for jewelry and decorative objects and much of it is smuggled to China and Thailand, where many wealthy shoppers buy ivory trinkets as a sign of financial success. Read about ivory poaching in Africa: american.edu/ted/elephant and from wikipedia. Note: U.S. Congress passed The African Elephant Conservation Act on June 9, 1989 which restricted the importation of ivory. Ivory Coast is not a particularly hard target. None of west Africa’s poverty-stricken states are blessed with particularly strong borders and elite counter terrorism forces, but Ivory Coast is a case in point. A model of stability in the 30 years after independence from France in 1960, it has been marred for the last two decades by coups and post-election violence. Laurent Gbagbo, the former president, is currently in the dock at The Hague over bloodshed that killed some 3,000 people when he refused to step down in 2010. A 7,000-strong UN peacekeeping force – sent to Ivory Coast after a previous outbreak of violence in 2002 – does its best to maintain stability, while efforts have also been made since last year to tighten the border with Mali. But weapons remain easy to get hold of on the Ivory Coast’s black market, and as in Nigeria, past civil conflicts have also reflected tensions between the Christian-dominated south and the Muslim-dominated north.